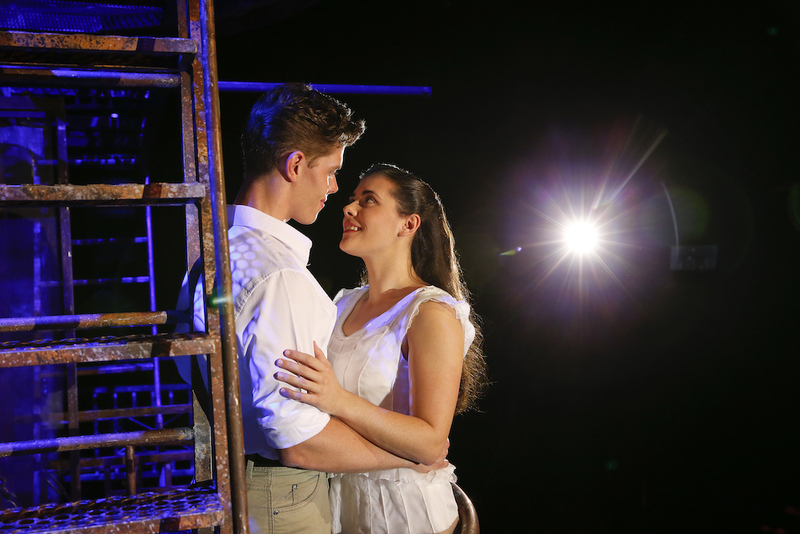 With enthusiastic reviews and word-of-mouth about Sydney’s Opera on the Harbour West Side Story fresh in the Melbourne audience’s minds, the curtain went up on Opera Australia’s other, indoor production of this classic musical. There must be a compelling reason to have a second one siphoning potential audiences away from the alfresco spectacular. Compelling indeed given it is transferring to Sydney in August. Whatever the reason, it isn’t because this Opera Australia-GWB Entertainment co-production ticks all the boxes. Some boxes, especially dancing and orchestra, but the young, inexperienced cast hasn’t the necessary gravitas or nuance to carry off this dark tale. 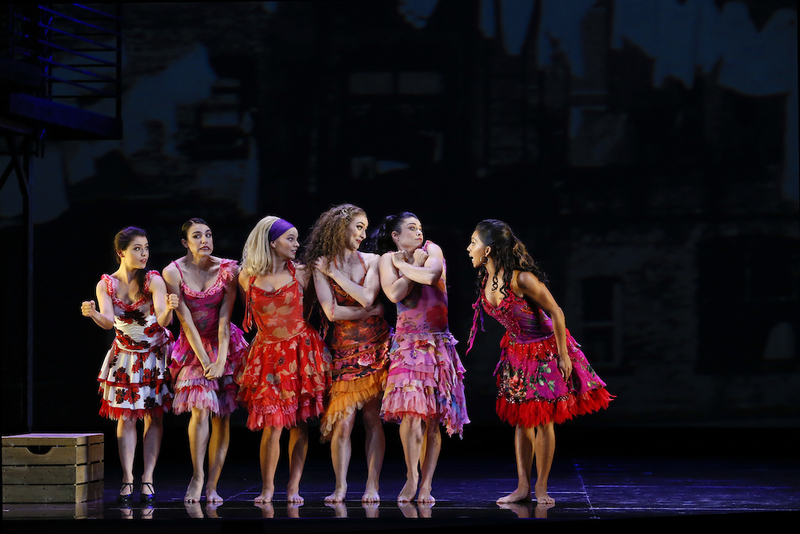 Adapted from Shakespeare’s Romeo and Juliet, with music by Leonard Bernstein, lyrics by Stephen Sondheim, and both directed and choreographed by Jerome Robbins, West Side Story was loaded with great, or soon-to-be great names when it first played Broadway in 1957. 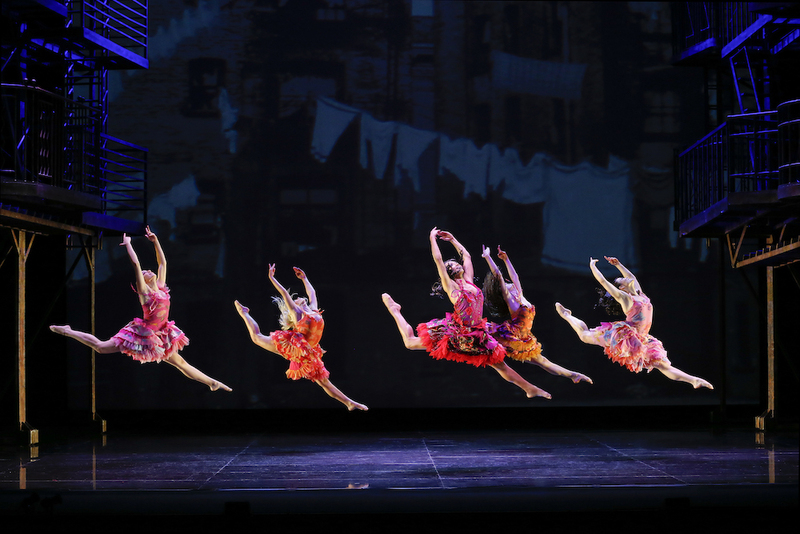 With extended dance sequences inherent to the unusually grim, contemporary story about two feuding gangs in working class New York, it revolutionised the American musical. 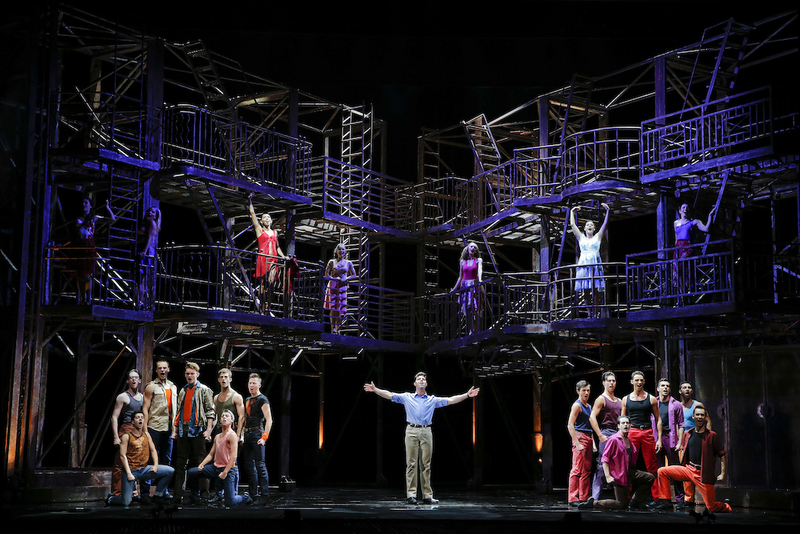 So, as with the many other productions that have appeared over the past 60 years, this West Side Story is both blessed with extraordinary material to work with, and burdened with the weight of expectation. Directed by Joey McKneely, whose dance background includes performing in Jerome Robbins’ Broadway, directed by the man himself, it’s no surprise that the dancing is excellent. Lithe, precise, energetic and evocative, it’s easily one of the best aspects of this production, which bursts out of the dark with the Jets gang’s danced prologue. Other dance highlights are the Sharks girls’ lively, Latin-inspired America, and Cool, in which the Jets execute the musical’s iconic airborne moment with impressive unity and purpose. The two lead roles, which require little dancing, are Tony, the former Jet trying to move onto a better life, and Maria, the sister of Sharks’ leader Bernardo. Todd Jacobsson generally conveys Tony’s emerging maturity and romantic fervour, and his voice is strong and warm, with agile phrasing, even in the upper register (he’s slightly shaky on a handful of lower notes). When in full flight, Sophie Salvesani’s singing has a remarkable crystalline purity, but she often seems so focused on technique and trying to carry off Maria’s Puerto Rican accent that her portrayal is short on emotion – the exception being an impassioned rendition of I Have a Love near the end. Most of the ensemble’s acting lets the production down, because there’s not much more than frustrated youth’s pent-up emotional and physical energy on show (and the dismal finger snapping of Noah Mullins as Jets leader Riff makes moments of drama go limp). An exception is Chloe Zuel as Anita, girlfriend of Bernardo and friend of Maria. She expresses her character’s strength, passion and mixed emotions both as an actor and dynamic dancer. The 31-piece orchestra is a particularly strong aspect of this West Side Story: with no less than guitar legend Doug de Vries in the pit, conductor Donald Chan has some remarkable forces at his command, delivering dramatic musical punches and lyrical passages with equal impact. Renate Schmitzer’s costumes neatly differentiate the Sharks and Jets, and the set by Paul Gallis is simplicity backed by seamless execution. A pair of scaffolding representing the facades of New York tenement buildings, complete with balconies and fire-escape ladders, are rapidly moved into different configurations from time to time. The occasional addition of a bed or jukebox, for example, is all that’s required to accommodate a few specifically located scenes. The often black, depthless space is sometimes transformed by colourful, atmospheric background lighting, or vast projections of vintage Manhattan photographs, forming backdrops that evoke time and place. These images simultaneously create a sense of how the characters are trapped among endless buildings, and the possibility of escaping beyond this concrete jungle.